"The Duke of York's New March, as performed by His Royal Highness's Band, Composed by W. A. Mozart", London, c.1795. An anonymous arrangement for English military band (the passing resemblance to Harmoniemusik is coincidental). 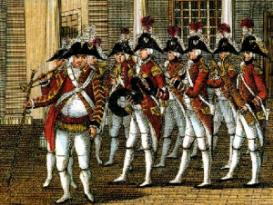 The Duke of York adopted the tune "Non più andrai" from the Marriage of Figaro as a regimental march for the Coldstream Guards. It is still in use to this day, under the name "Figaro". The instrumentation for oboes and clarinets, two horns and bass was a slightly extravagant but not untypical line-up in both military and civilian band music of the period. No mention is made of percussion but the march should presumably be reinforced by drums, possibly by exotica such as the fashionable Turkish Crescent, or "Jingling Johnny".